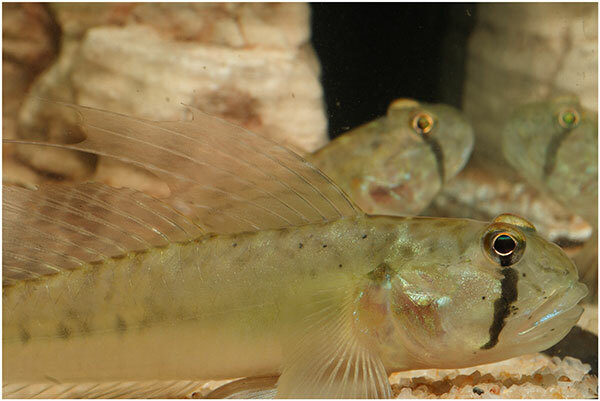 Bought this pair of Dragon gobies from C328 just now. Not sure what's their scientific name. Hopefully the pictures shows enough details for its identification. The male is about 6cm long, while the female is about half his size. The pair together, with the male in the foreground and the female at the back. got three of these buggers from Azmi. your male is flaring nicely, but the caudal is torn, keep them till the fin grows back. 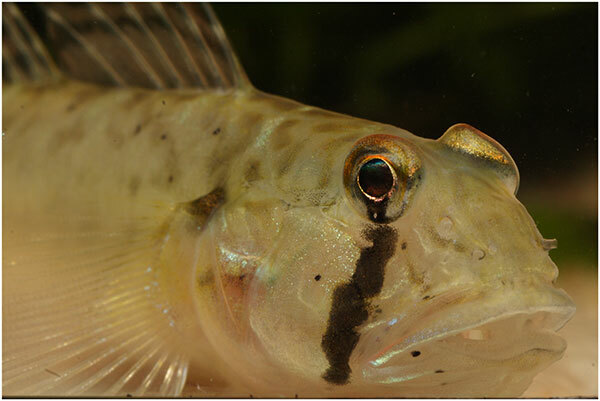 Have to get the NUS goby guys to have a look. I have got a pair of it last week too. Compared to the Zebra striped ones that is recently available together with it, it not shy at all and don't hide. Anywhere else still selling this? Got the last pair from Y932. Also looking for the Zebra ones. They seem to be doing fine in my freshwater tank. eco have a lot. actually is cichlid forever lah. Will drop by later today. Definitely brackish....I expected something else when I saw "Dragon Goby" too. How do you tell that it is brackish or pure freshwater? 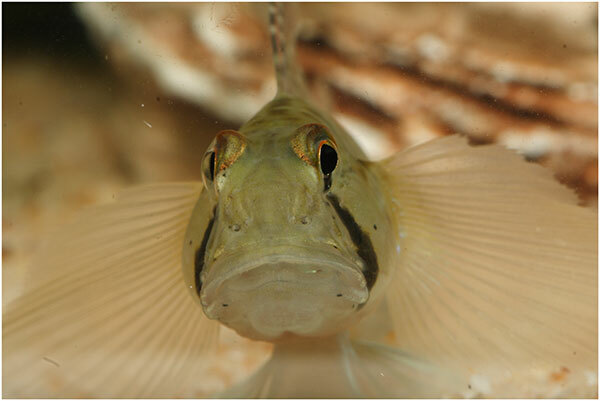 What characteristics on the fish that give us this information? From books & experience. 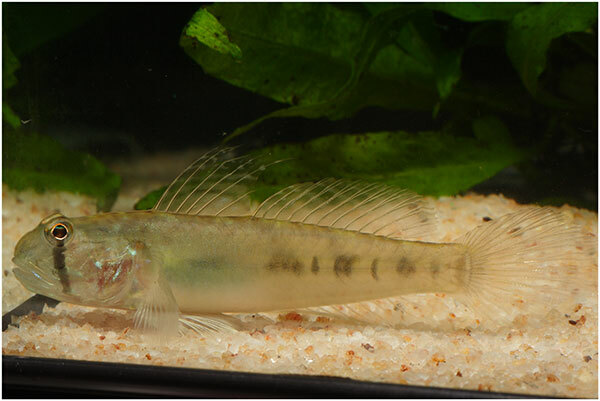 Not many pure freshwater goby around.. I think this one is a Acentrogobius species..just wait for what the goby expert says. how do you differentiate between the male and the female? 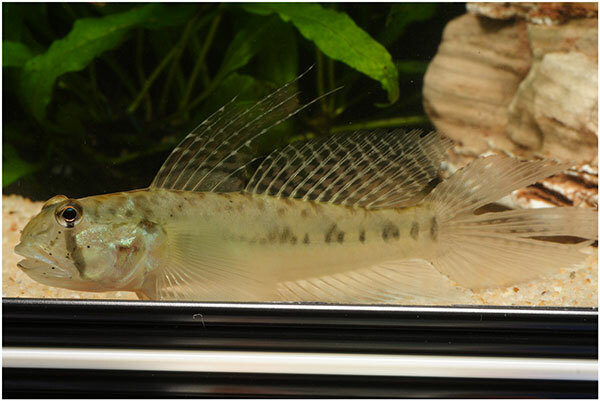 Check out the longer fins on the males as seen in the pictures above. Any positive ID for them yet? do they take flakes or pellets?